Several years after the tragic death of their little girl, dollmaker Samuel Mullins (Anthony LaPaglia) and his wife, Esther (Miranda Otto), welcome a nun and several girls from an orphanage into their home. However, the visitors soon become the target of the dollmaker’s possessed creation, Annabelle. Following his surprisingly effective feature debut, Lights Out, David F. Sandberg became a director to watch - a director with the potential to make a truly great horror movie. 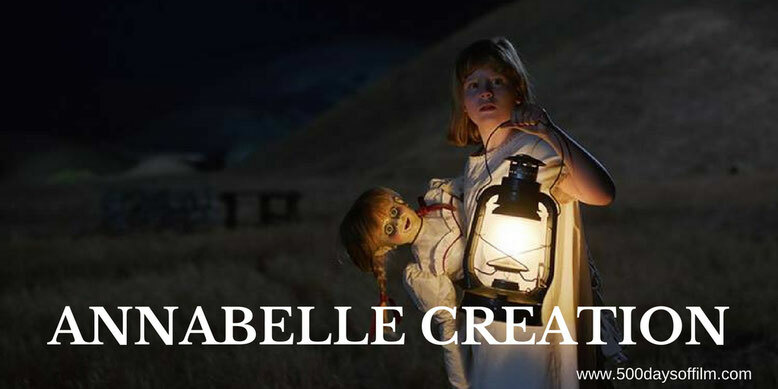 Sadly Annabelle Creation, the latest addition to the Conjuring Cinematic Universe, is not that movie. exhibited in Lights Out. There are genuinely creepy moments (among the many quiet, quiet bangs) and some impressively scary effects. Meanwhile, I did care about the (rather improbable) dollmaker and his family and I warmed to at least two of the orphans. There is also fun (should you choose to find it) in the ridiculous behaviour of pretty much everyone involved. They all behave in the most idiotic ways given the sinister circumstances. You have to laugh or it will drive you to distraction. Annabelle Creation is a relatively inoffensive scary movie from a director with real horror promise. However, while I appreciate the success of The Conjuring Universe (and am interested in the franchise's forthcoming film, The Nun) it's now surely time to put the doll away. Have you seen Annabelle Creation? If you have, what did you think of this addition to the (sigh) Conjuring Movie Universe? Let me know in the comments section below or via Facebook or Twitter (@500DaysOfFilm).